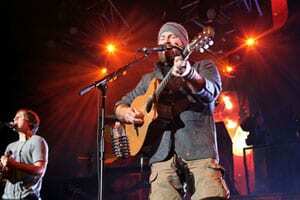 The Zac Brown Band has returned to the studio to work on its forthcoming album Uncaged, which is set for release on July 10 on Atlantic Records/Southern Ground Artists. The album will also mark the official debut of ZBB’s newest member, percussionist Daniel de los Reyes. The band is currently nominated for Billboard Music Awards’ Top Country Artist and for two CMT Awards, Collaborative Video Of The Year (“Knee Deep” f/ Jimmy Buffet) and Best Group Video (“Keep Me In Mind”).